When it comes to delving into a subject as complex and nuanced as disorders of the human endocrine system, you probably feel as though you don’t have the time or the need to do so. However, if you want to find out how to get a prescription for HGH injections, our hormone therapy doctors have highlighted some of the key information that you’ll need to have. This overview has been created as a handy and concise reference tool for adults who are interested in knowing the highlights of the overall experience of using medically prescribed human growth hormone injections. The hormone therapy doctors at Nexel Medical realize that their patients don’t need to know as much as medical professionals do about their endocrine function, but do need to understand how their body’s growth hormone production affects their overall health outlook. Hormones are complex components of human physiology and we produce a prodigious variety of them throughout life. Classified as steroids, peptides, eicosanoids, and amino acids, our hormones perform a wide variety of critical biological functions, so having either excessive or deficient hormone production can have an impact on health that can range from mild to severe. Growth hormone is the substance that keeps our body’s systems and organs functioning in a way that supports vitality and healthfulness; when not enough is being produced, troubling symptoms can develop that will become progressively more pronounced without treatment. Many adults have only recently become aware of what the symptoms associated with growth hormone deficiency are and learning that the only way to eliminate them is to find out how to get a prescription for HGH injections. If this is the situation that you are currently facing, you should know right up front that it will be much simpler for you to get that prescription from a hormone replacement therapy (HRT) doctor rather than from your regular physician since HRT is such a specialized field of medicine. It is, however, the field of medical practice that Nexel Medical specializes in. Can HGH Injections Be Prescribed for Weight Loss? Metabolism is definitely one of the many biological functions that is influenced by your body’s available growth hormone supply, and that is why one of the most common symptoms of GH deficiency is the accumulation of stubborn excess fat that is concentrated around your mid-section. It is also why most patients using doctor prescribed HGH injections will find that any excess abdominal fat they have rapidly disappears during their course of treatment. But weight loss is not one of the intended medical purposes of growth hormone replacement therapy, so unless a clinically significant degree of GH deficiency has been detected, doctors will not prescribe human growth hormone injections as a weight loss treatment. In other words, telling a doctor that you want to use hormone replacement therapy to help you lose weight is not how to get a prescription for HGH injections. However, if you have been suffering from energy loss; a reduction in your mental acuity; significantly less sexual desire; a noticeable decline in your muscle and skin tone; increased periods of moodiness; decreased immunity to colds and other common maladies; and longer recovery periods from injuries and illness, then you definitely should get tested for growth hormone deficiency – because these things are also some of its commonly experienced symptoms. A simple to perform blood test is all that it takes to confirm to an experienced hormone therapy doctor that your symptoms, your test results and your medical history indicate that you are a good candidate for using HGH injections. This is a diagnosis that many general medical practitioners would not necessarily be qualified to make and subsequently could not be expected to prescribe injectable human growth hormone treatment for their patients. Does Using Prescription HGH Therapy Have Any Side Effects? In your determination to learn how to get a prescription for HGH injections, have you stopped to consider that this treatment can have side effects? Statistically, the incidence of side effects among patients using injectable human growth hormone under a doctor’s supervision is very low, but all medical treatments present certain risk factors and it is always wise to find out what they are in advance of committing to treatment. First of all, do you know what can happen to people who don’t have a prescription for HGH and haven’t been tested for deficiency, but they go ahead with obtaining and using it (illegally) anyway? They can easily and inadvertently increase their growth hormone supply to excessive levels, which in turn can cause diabetes to develop; lead to the abnormal growth of their bones and internal organs; and trigger both hardening of the arteries and hypertension (high blood pressure). Anyone who is using, or thinking about using, HGH injections without medical authorization should be aware of this. Yet for people who use human growth hormone replacement therapy for a verified deficiency and under a doctor’s supervisions, the incidence of side effects from the low dosages that are typically prescribed is rare and reversible. Things to watch out for even when you are following your therapy program exactly as it has been prescribed include more common effects such as headaches, dizziness and nervousness; and much less common side effects such as bloating, joint pain and vision changes. If side effects should occur, they can usually be alleviated quite quickly by following the advice of the prescribing physician, who will either lower the patient’s dosage or discontinue their course of treatment. If you expect your medical insurance to cover the cost of using growth hormone replacement therapy, our advice on that is contact them directly to verify that. Many people assume that since GH deficiency is a recognized medical condition, their insurance will automatically cover all or at least a portion of its treatment cost; but it is not always the case. It could be very frustrating to learn how to get a prescription for HGH injections therapy only to find out that you will be solely responsible for its cost. When you speak to your insurance representative, try to find out exactly what will and what won’t be covered. Maybe they will cover the cost of the testing but not the treatment; or they might cover a percentage of your treatment cost and/or have limitations about how long they will cover your therapy. 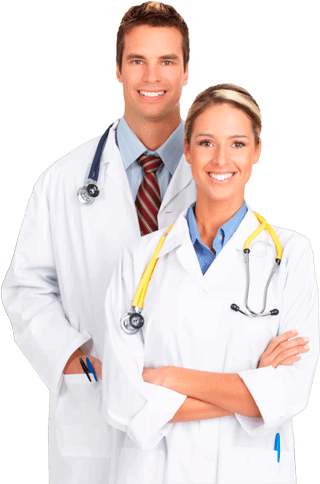 It is impossible for any HRT medical provide to predict whether a patient’s treatment will be covered by their health care insurance since the terms of these policies vary so widely – and get modified all the time. Frankly, many adult patients end up accepting the financial responsibility of their therapy because many insurers decline to cover it. So you should be prepared to expect a monthly treatment cost for your HGH medications of $500 and up, depending on your dosage requirements. The adults who pay the full cost out of pocket tend to view it as an investment in themselves that pays off in the best way possible: By keeping them healthier and active for many years longer. Will HGH Injections Therapy Deliver the Results You Want? Fortunately, the success rate of growth hormone replacement therapy has consistently been very high. It is because of that consistent success, along with the high satisfaction rate of the patients using it, that the benefits of using HGH injections have been the focus of so much attention in the media. But the media has not always applied the same standard of consistency to their reporting on the subject of using injectable human growth hormone. Some reports seem to be exaggerating the results that adults are getting as they compare HGH to a veritable youth serum, while others seem to report nothing but unfounded risk factors and unsubstantiated health dangers. As is usually the case, neither of these extreme viewpoints is objective or accurate. If you want to know how to get a prescription for HGH injections because you have been led to believe that it will make your look and feel like you are 21 again, you have unrealistic expectations. However, if you remember feeling and looking a lot more vibrant and healthy not all that long ago and want to use injectable HGH therapy reclaim your maximum vitality and vibrancy, you will be very happy with the results of your treatment. 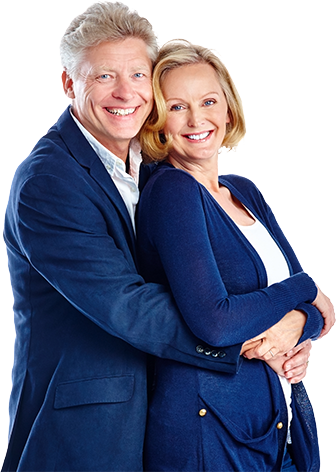 You can expect to feel substantially more alive, more youthful, more energetic, more sexual, more mentally alert, and more emotionally stable – all because you will have restored your growth hormone supply to its healthiest state of balance. Call Nexel Medical about our streamlined procedures for getting HGH injections prescribed; we’ll do everything we can to assist you in getting your prescription promptly.